The buying process can have many different starting points. If you are in the market for your very first home, we highly encourage you to start on our First Time Home Buyers page for helpful info tailored specifically to first time buyers. Although there is no ‘wrong’ way to start looking for your new home, we have found that it is best to first find out how much you can afford by speaking with a lender and getting prequalified. Whether you are a first time home buyer looking for your very first home, or a seasoned buyer adding to a growing portfolio, the steps that follow are what we recommend. What is the first thing I should do to get started towards buying a home? One of the first thing we have our clients do is get preapproved by a lender. We do this to ensure we are looking within your spending budget and to make sure you don’t fall in love with something you can’t afford! We have worked with a wide range of lenders throughout the years and are very happy to work with your preferred lender. In the event that you do not have a preferred lender, we are more than happy to refer a few options. We work closely with a number of lenders that can perform and compete in today’s market. I know my budget for a home, what is the next step? Once we know the budget we can work with, we can start narrowing down what kind of homes fit your needs and wants. This is a collaborative process between all the decision makers, not only the buyers but even children or parents helping with the purchase. Ideally, this happens in our office or a coffee shop where we can lay out the items you want in a home and openly discuss why each is important to have in your future home. 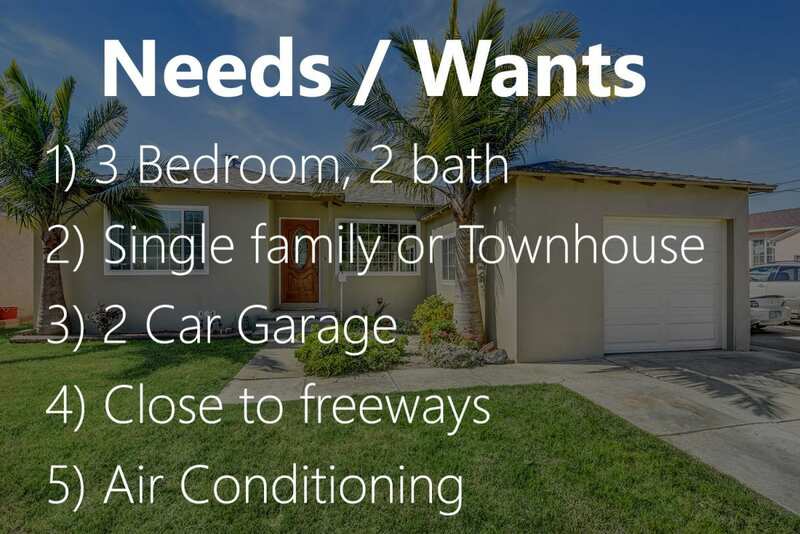 We accomplish this by listing needs and wants and determining how important each item is by assigning it a value, usually between 1 – 5, where 1 is lowest priority. The time it takes us to locate the perfect home varies from buyer to buyer, but typically the process lasts about 3-4 months although we have had buyers identify, pursue, and ultimately purchase a property in as little as 45 days! We find that most buyers take at least a couple of weeks to familiarize themselves with the market before getting comfortable enough to write offers. Interested in scheduling a buyers meeting with us? Simply click below to get started! 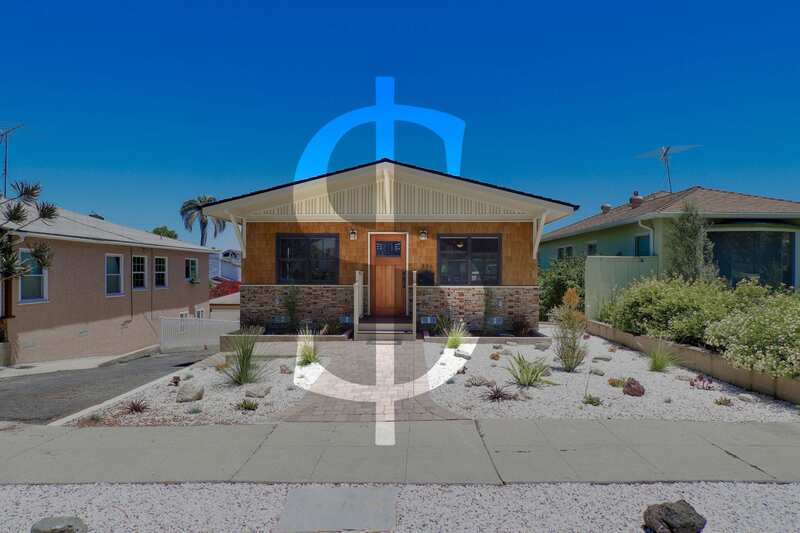 I have found a house and would like to submit an offer, how can we do that? After we have identified a home that fits your wants and needs, it’s time to start submitting offers! At this stage, we will talk about strategy and how to write an offer that is not only competitive, but also protects you in escrow. Writing a competitive offer can mean different things depending on the current market. The first offer we write often takes the longest because we want to be certain that our clients feel confident and informed with respect to the Residential Purchase Agreement (RPA). Taking the time to educate our clients on the working pieces of the RPA not only puts most worries at ease, but also leaves them feeling confident. The Prestige Team takes great care to ensure our clients fully understand all of the paperwork we encounter throughout the transaction. We sit down and read over contracts, disclosures, reports, and anything else we determine is of importance so that our clients are informed and confident about their potential purchase. Start with step one! Fill out the form below to start your preapproval with New American Funding! Know your interest rate? 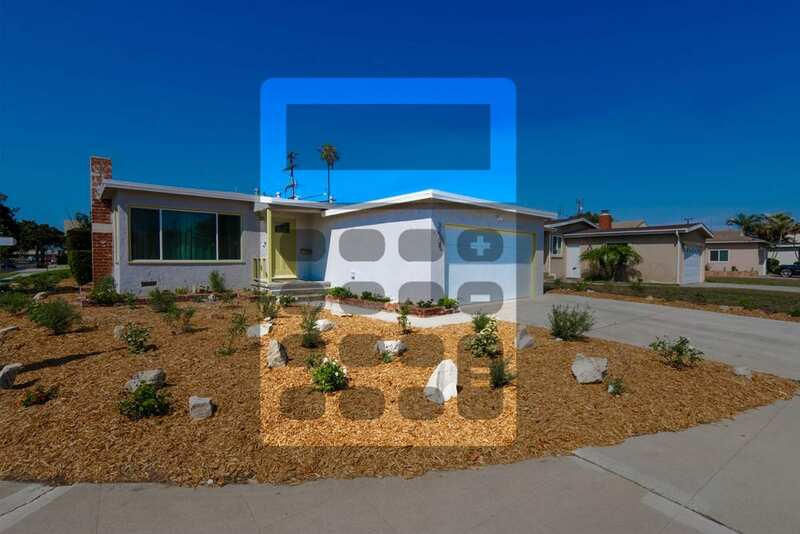 Calculate your monthly payments! There is nothing like talking about your wants and needs face to face. Schedule a consultation to speak with Karen or Jonathan! Ready now? Give us a call! 310.936.MOVE! SEARCH WITH THE BEST TOOLS!